CHICAGO — Does your drycleaning store have curb appeal? The most recent American Drycleaner Your Views survey asks the trade audience to tell us the answer to that question. 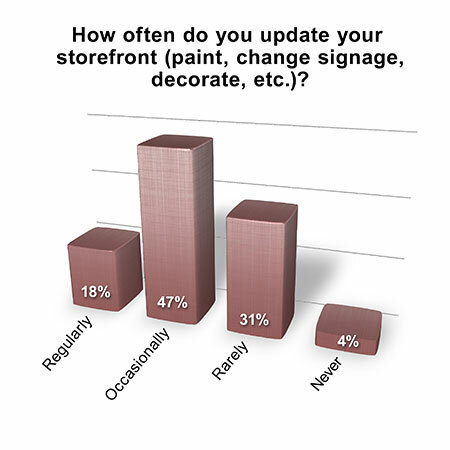 When asked: “How often do you update your storefront?” the graph shows that 18% do so regularly, 47% occasionally, but 35% either rarely or never. “Do customers comment about your storefront?” the survey asks. Fifty-eight percent of respondents said that customers notice the curb appeal.